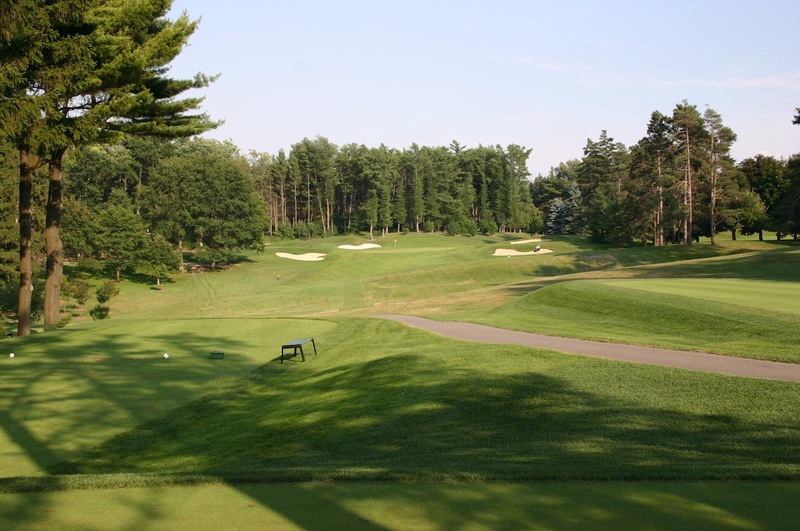 The Hamilton Golf & Country Club was born in 1894 when golfing enthusiasts established a twelve-hole layout within the town of Hamilton, just outside of Toronto. 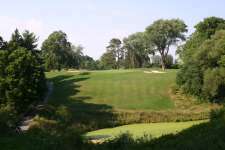 Member dissatisfaction with a subsequent eighteen-hole course prompted a move to nearby Ancaster in 1914 with British architect Harry Colt called in to provide the design. 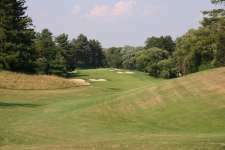 While Colt squeezed a great layout out of subtle landforms at the nearby Toronto Golf Club, at Ancaster he created an outstanding course on a dramatic property full of significant elevation change and broad undulations. 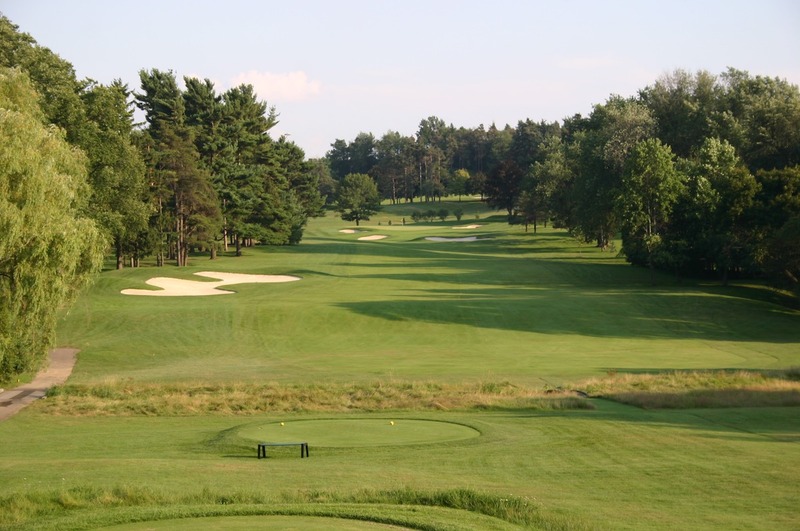 Unlike Toronto and those Colt designed in London’s Heathland, Hamilton cannot claim to have totally and faithfully maintained its layout in the purest traditions of the designer. This is in part due to continual expansion but also because the club seeks to host regular championship events, which often force unnecessary change upon established courses. The original bunkers, for instance, were rugged, deep, generally grass faced and deliberately kept untidy, typical of Colt’s approach to bunkering. Over the years, and especially in recent times, the club has lost this classic feel by firstly adding traps with a sharper, more modern look and then renovating most of the originals in this same style. The result is a slightly disjointed looking golf course, especially to Colt fans who may recognize the holes but probably not the unusual bunker mix. Hamilton’s strength is its routing, while Colt famously planned most courses around his par threes, here the longer holes steal the show, despite 6, 8 and 13, all being fine one-shotters. 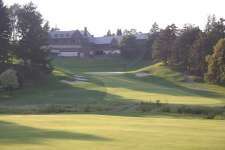 Featuring a two-tier fairway and creek crossing, the narrow 3rd is the first standout and followed soon after by the brilliant 5th with its driveable green set on a small rise beyond right side bunkers and angled away to ensure that bombers who over compensate and pull their drive have little chance of getting the pitch close. On the back nine an attractive dipping and rising 10th hole and tough left-bending 11th are equally impressive as is the stirring finishing hole, its fairway cut by a snaking creek and rising majestically into a basin green set beneath the colossal clubhouse. A bend in this naturally winding creek was strangely straightened on the preceding hole to allow weaker hitters to negotiate it more easily from the tee. Another frustrating modification was the penal front left greenside bunker added to the quirky dogleg 7th hole, whose rippled fairway falls away from the target and was clearly conceived by the designer to reward those who can punch a drive down its narrow left side. Of the other changes, the most positive was the shifting of the green at the long par three 13th onto a rise beyond a series of side-slopes, a clear improvement on Colt’s less dramatic original. Over the years Colt’s course has been stretched more than five hundred yards and its par reduced by three, primarily to ensure the layout provides a difficult test for major events. 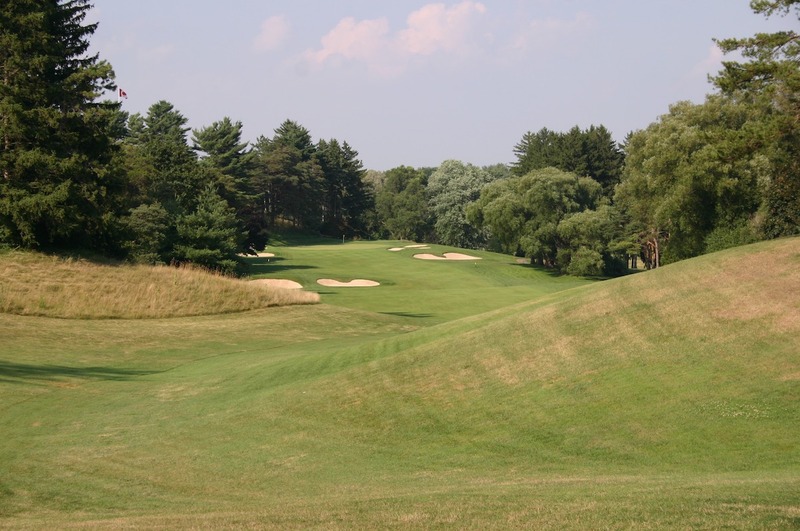 With its dramatic elevation change, sloping greens and tremendous variety, Hamilton is certainly a course that forces more thought from the good players than simply which wedge to hit. While most of the routing remains unaltered, there is no doubt that if the club were able to better balance what are genuine improvements with what should never have been touched, Hamilton would be back among the very best courses in Canada.